Cables are brought in production after strict quality and stamina tests. QA system constantly watches them over. 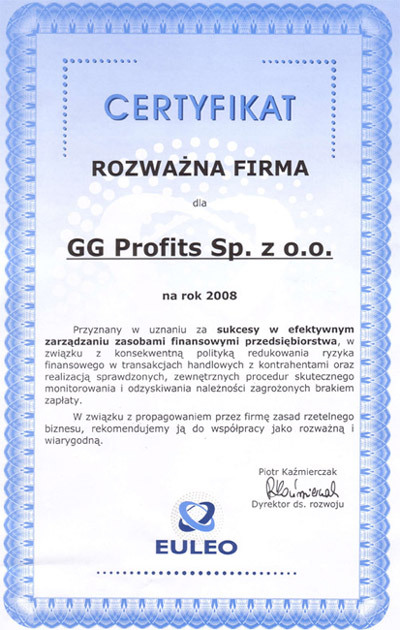 GG Profits Ltd. manufacturer of ignition cables - SENTECH have been awarded THE FIRST PRIZE in a competition of NOVELTY OF THE YEAR 2006, organized by autoEXPERT periodical in a category "Parts and car’s accessories ".The management of the company and the employees would like to thank for everything which favoured our product, to vote for it. The company management and employees want to thank warmly this one of You dear Customers, which singled our product out, voting for it. 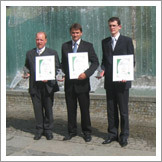 This prize motivate us to increase our efforts on continous improvement of our technological line of SENTECH cables. 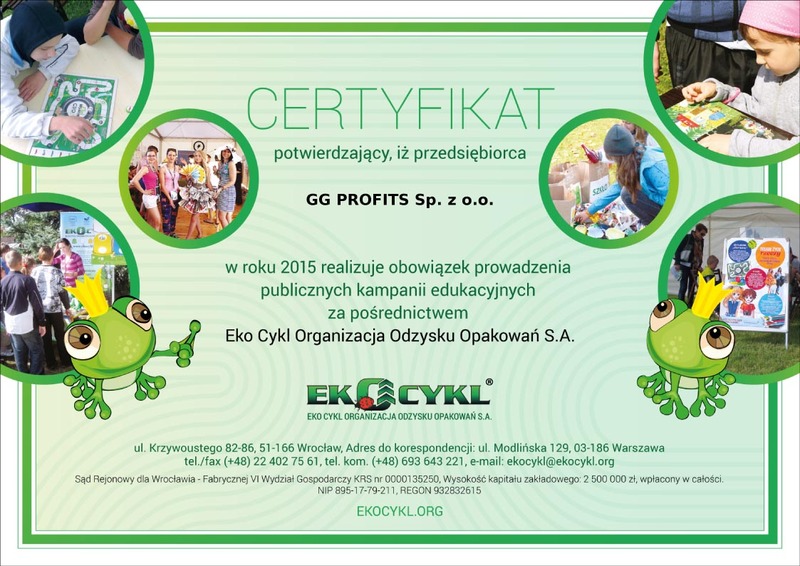 We will be still mind for the quality of our products to use high-toned raw materials. 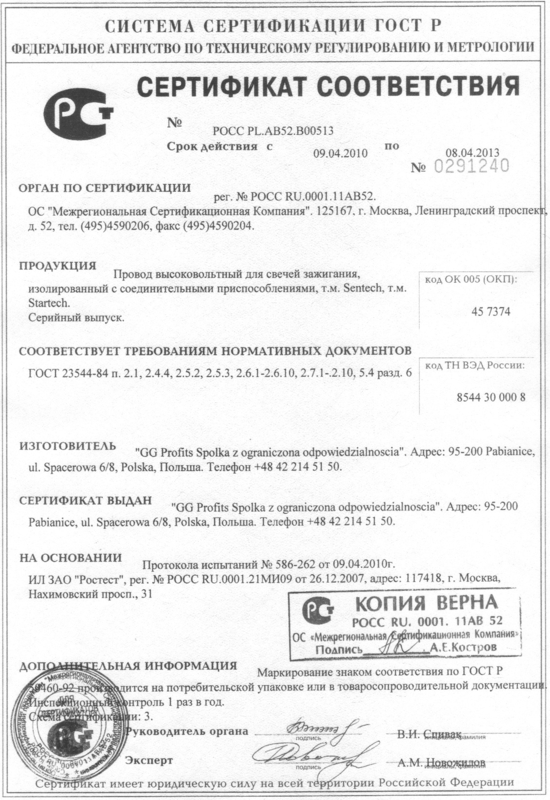 A confirmation of the quality is also the certificate ISO 9001:2001 given by PCBC and the International Certificate of the Quality IQNet, outstanding distinctive our firm as the best world producer of ignition cables for cars. We will be still mind for the quality of our products to use high-toned raw materials. A confirmation of the quality is also certificate ISO9001:2001 given by PCBC and the International Certificate of the IQNet, favouring our company as the world producer of the best ignition cables to branded vehicles. 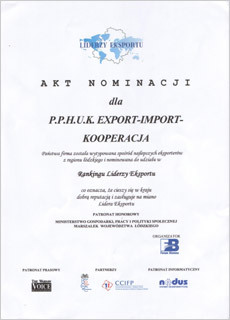 Also we obtained a Nomination for participation in this year′s edition The all-Polish Ranking Leaders of the Exportation. 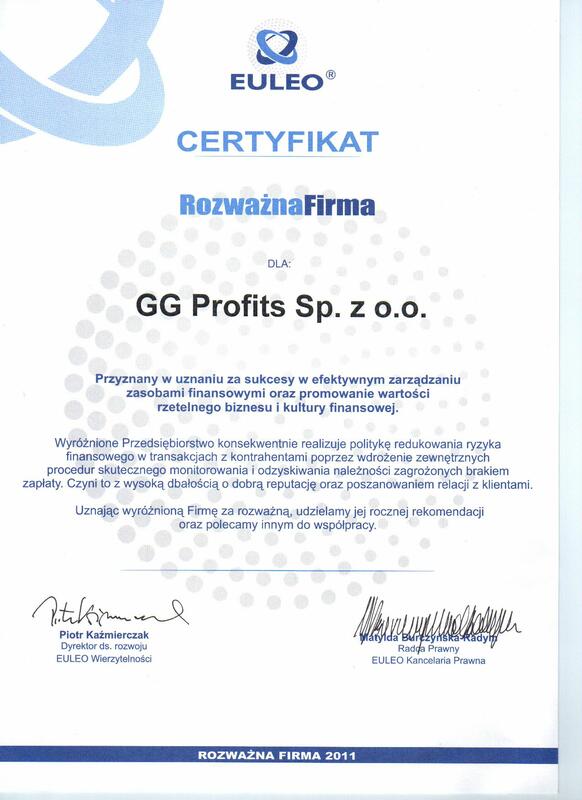 BGK CREDIT the Management of a loan awarded a prize us with the certificate THE THOUGHTFUL FIRM to recommend GG Profits as the firm of high financial culture and the worthy firm of the cooperation with economic subjects in the country and abroad.